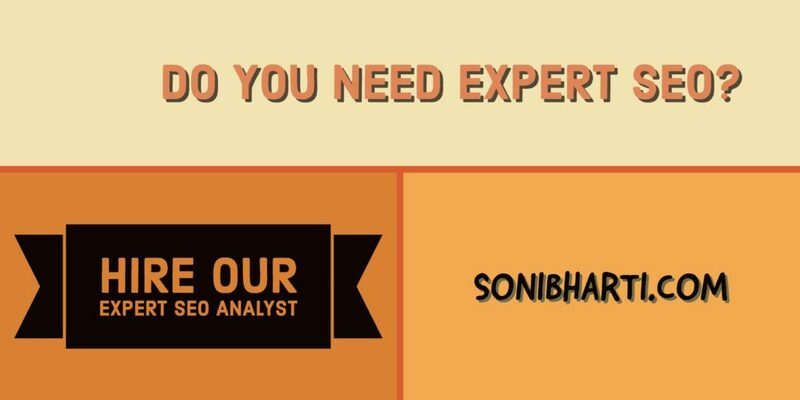 I am Soni Bharti, a passionate SEO expert and SEO Freelancer in india. I have spent last 5 years of my life studying the sophisticated algorithms and patterns of Google. And using my knowledge and skills to help companies mark their presence in Google at top. You, as a business owner, already have a lot on your plate. Getting top ranks on Google is yet another burden that you might have to deal with. I, as one of the top freelance SEO experts from India will take that responsibility for you, so you can focus on your business. — I thoroughly review the website; both design and content, and improve upon it wherever required. I will recommend some changes that can be done, the changes that I have learned to be fruitful in my 5 years professional experience. Over years, there is a myth that is being circulated frequently that Google doesn’t weigh on-page criteria as strongly as off-page criteria. Which is simply wrong? The on-page criteria is as important as it has always been. The rules might have changed. It might not work in the same way, but the importance of it remains crucial. It will always will. I have learned these changes over time deeply and know how to optimize every page for keyword density, meta-descriptions, headlines, keywords proximity, and hundreds of other factors that go into making a page of high value, both to users and to search engines. I can take your pages and the whole website from properly optimized to perfection. There are factors that are crucial to make things work in a way that doesn’t contradict between users’ convenience and search engines’ rules. 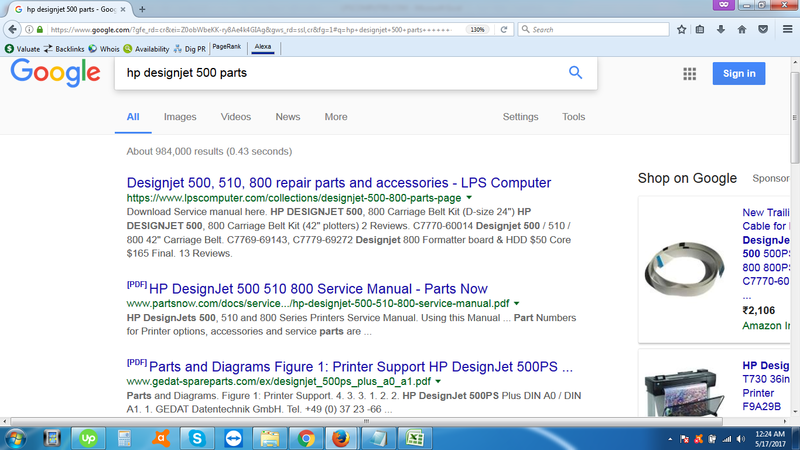 — The algorithms for off page criteria have been upgraded and more sophisticated over the years by Google. Many of the freelance expert SEOs has surprisingly limited understanding of how off-page criteria works and how important it is for the bigger picture. I have learned and perfected all the traditional off-page techniques and some new ones that are substantially crucial for your rankings. An off-page criterion now has more weight-age as the Google’s technology gets more complex. It can examine the quality of your presence outside your own website. There are many factors that can be included in this; the biggest one is link-building (which is discussed separately). — The link building is one of the most complex and tedious job that can get real nasty. I have a labyrinth of tools and techniques of how to make links beneficial and rewarding, instead of getting penalized for over link building. The presence on Web and on Google is heavily dependent on this factor, and I am the guy to get it right for you. There are many types of links and factors that determine their relevance and value to the users. Such as, one-way links, three-way links, and where the links are posted. Google scan the whole World Wide Web and factors in hundreds of values to create a rank for your website. — The power of Social media is staggering. But to utilize it in the right way is mingled with miss-information and lots of bad techniques. I studied how Facebook, Twitter, and other social media giants work and how you can bring them to your use in a precise manner. The set of skills that I have acquired over the years can get you that popularity, and traffic, on these social media sites that you have always wanted. Social Media marketing can be the most difficult part of this. Because it is so unpredictable, very few get it right. This has quickly become one of the best ways to rank your website at top, and also the worst way to get penalized. Many freelance SEO experts are heavily dependent on Social media that it quickly turns into a incoherent and disorganized way of maintaining web-presence. I, on the other hand, keep the whole thing on balance. My skills as a dedicated and best SEO freelancer expert will help you gain the followers, the popularity, the presence, and the rankings that you deserve. And I help you maintain it for years to come. I also focus on the relevance of the followers since it can get easily off-road through irrelevant and non-targeted people visiting your page or website. All of that is the thing of the past now. It’s incredibly hard to manipulate the search result and do something that’s not relevant in any way. This is the reason of Google’s impressive improvement in how it functions and how it scans the web looking for original, valuable, and relevant content. 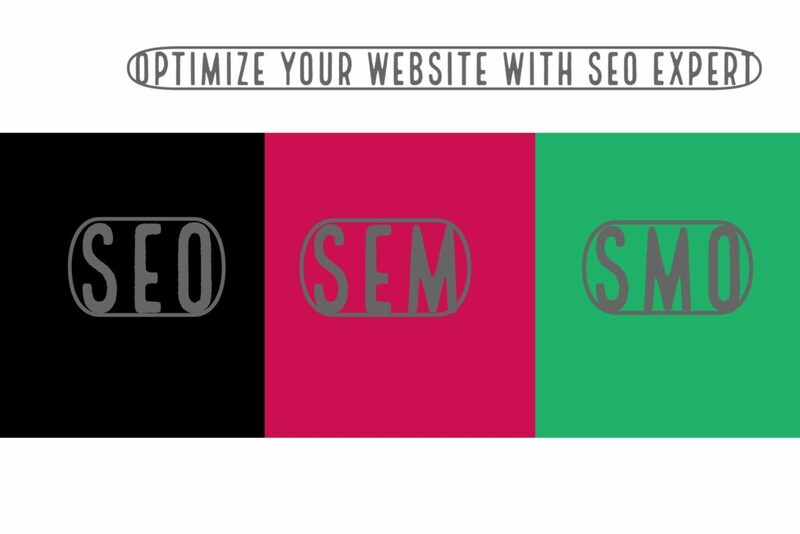 This is the reason why SEO evolves faster than any other industry out there. All the techniques and methods for ranking your website change every year, sometimes every month. It can be daunting to keep up with all this. Many genuine freelance SEO experts do not deal with such practices. Now-days, there are certain “guidelines” (as Google uses to call them) that you have to keep in check so as not to piss off the mighty search engine. The good news is that you don’t have to worry about all of this. I have evolved myself and my SEO practices to keep it effective, genuine, and profitable. Google updates its algorithms almost every day, bit by bit, and once in a while it brings massive changes that are given the names of sweet animals (like Panda or penguin), which ends up disrupting the entire rankings of all the websites substantially. I have skills and knowledge to keep this in check. I have been able to create sophisticated and effective solutions to take websites to the top organically for the clients all over the world. I also do my work manually instead of using software all the time, unlike many experts freelance SEO specialist in India. Because an automated system is great, but it can also backfire; it’s unreliable at times. Through my long (and rewarding) journey, I have learned to how to create backlinks, how to blog, how to submit changes to search engines, and all these tasks. I know when to do it manually and when to use an automated system for maximum efficiency without fatal errors. The trick is to offer genuine value to your visitors or customers, while keeping Google guidelines in check. Google rewards those who think about their customers. And that’s exactly what I do efficiently. Not finding leads or customers for your business? Sales been low? I can help. 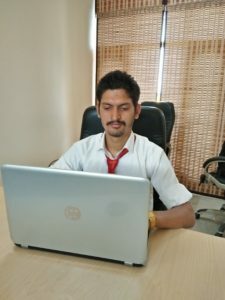 If you have been looking for SEO freelancer and local SEO experts from India, I am your guy. Over the years, Google has given plenty of opportunities for local business to use Google’s local searches to boost traffic to their websites and bring more customers. Google plus, Google maps, and other directories are the front-runners of this change and using these systems, you too can bring more customers to whatever business you run. And stay steps ahead of your customers. Whether you own a restaurant, or a general store, or any other services where you want to customers to visit you locally and use your services, you can increase your sales substantially by using Google’s local searches. Users search for pictures, reviews, and any other information they can get online. And Google’s services are there to help them…and therefore, you. You just have to find the correct mix of techniques for search engines and for users to help them given this information. And in turn, get yourself buyers or customers more than before. There are many components that go into making your presence strong in local searches. A big chunk involves around information from other sites. 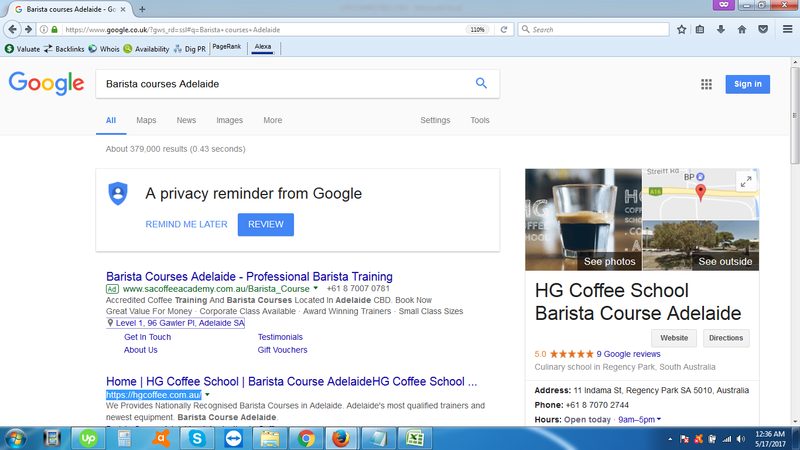 Google notices your company’s name and your links to high-authority websites. I am skilled in how to do all that. I will submit your info to high-authority websites and places that belongs to your targeted niche. I know what kind of info is relevant for your business. Photos? User-Reviews? Working contacts? Or other info? Whatever it is, I will make sure there is nothing missing when it comes to bring you to light to thousands of users searching for the services that you offer. Note* – Even though I am freelance SEO consultant and SEO expert in India, I offer my services globally. Ken is on to something here. Many expert freelance SEO services offer analytics management. And probably know how to get feedback and see how the practices are performing in the real world. However, they are not acutely aware of the importance of a proper feedback mechanism set into place. They gloss over the traffic…and that’s it. This is a very important thing to consider when you are hiring freelance SEO experts. Over the years, I have perfected my skills of getting the feedback of my actions. How the pages are performing according to my (our) goals and what can be done to improve them further? The best system today is Google webmasters and analytics that offer tons of juicy info about the results of our actions. Google just doesn’t show us the traffic, but also the breakdown of traffic into minute details, helping us see what is going on with our pages precisely. I will manage this for you. I know how to look at the important feedback and weed out the rest. I check where the traffic is coming from, what pages are getting more visitors, what is the bounce-rate of your pages, how long do they stay, and various other information that makes a huge difference. Even if you choose the best practices for you, staying there without looking how the world around us is changing can be fatal. Stagnation is fatal. SEO is not different. And I make sure it doesn’t happen to us. Getting traffic is easy. Anyone can do that. There are tons of low-cost services that will give you plenty of traffic to your website. What am I doing here then, or what any of the best SEO freelancer experts are, for that matter? What is the difference between a good freelance SEO specialist expert bringing people to your website and low-cost services that throw traffic numbers q on your feedback graphs? The answer is targeted visitors. What you want for your website is visitors who are coming to you for exactly what you are offering. A visitor with no interest on your content or services isn’t profitable. Someone who comes to your pages for the things that you are offering him/her is the one that is called a “targeted visitor” and this makes a huge difference at the end of the day. Even the top Freelancer SEO experts get this wrong. I make sure that majority of the traffic on your website are highly targeted for maximum revenue. Throughout my journey, I have learned to do this right. I don’t believe in just showing the numbers on the graph that ultimately doesn’t give you any value. Over the years, my strategies for targeting relevant visitors have proven to be fruitful in comparison to many other freelance SEO experts in India. If you want to hire an SEO freelance expert, don’t look further. The ultimate goal in my mind for clients is to bring targeted visitors. That’s what my eyes are looking for at all times. What follows below are my clients and the results that I achieved for them. From the screenshots, you can see that their websites have achieved high rankings and are sitting at top 5 search results. If you want the same, contact me today and achieve the same results. 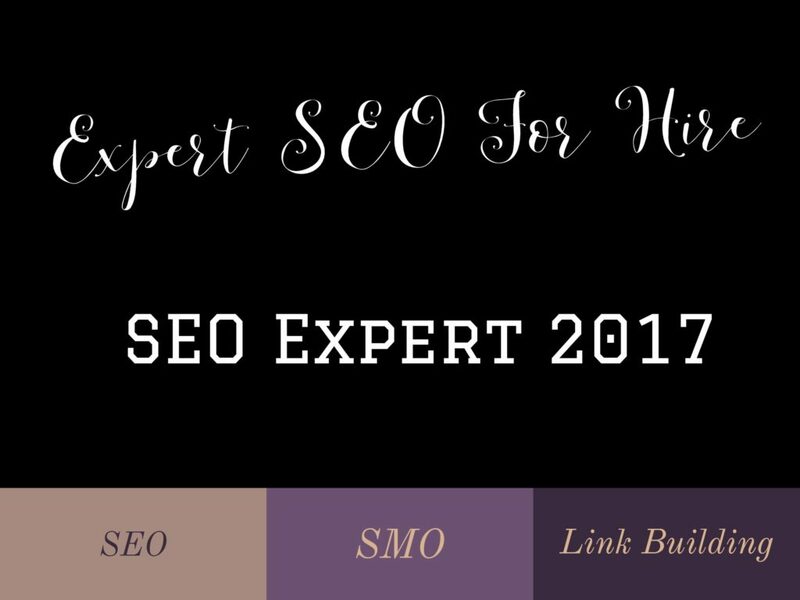 Why Would You Want to Hire Me As Your freelance SEO Expert? So you have read about what I do and how I do it? Here’s a bit of a summary the freelance SEO expert services I will be offering you. It’s basically a list of the reasons about why you would want me as your freelancer SEO expert. #1 – I have 5 years of experience as an SEO freelancer and have learned a lot. The proof of my experience is given above under “I get results” section. Notice the name of my clients (or their websites) are at the top half of the result page. I have done this frequently using my particular set of skills that I have acquired over the years working for numerous clients. When you hire me as your dedicated best SEO freelancer expert, expect the same results for yourself and your websites. #2 – I keep in touch with the changes of Google’s evolution over time. I have tracked the changes in Google’s algorithms and have precise knowledge of the profitable practices that are rewarding for you and your customers. I avoid any tactics that apparently are devised for cunning manipulation and appear to be profitable but aren’t in the long run. I keep it truthful, genuine, and effective. That’s what Google wants, and it rewards you by showing your website to thousands of users actively looking for info/services you have to offer. This is one of the most important traits of the best SEO freelancer experts that how they handle the changes in Google. #3 – I optimize on-page and off-page criteria for maximum traffic. I know both are equally important, but in a different pages. My experience will perform both of these tasks effectively so they are in harmony. I know all about over-optimization that harms websites and I know just the right tricks for this to not happen. #4 – I have acute skills of link building and how to create the presence for your website on high-authority websites. I also keep it targeted towards the relevant customers, those who want your websites and are actively looking for it…and in the end, are the ones who will provide you the revenue. #5 – I will also manage the Google Analytics and Webmasters. I analyse the feedback deeply and work out what’s working and what’s not. I have countless tricks up my sleeve to use feedback in the most efficient manner and that distinct me from other freelancer SEO experts. #6 – I believe in social media marketing and am capable of using their powers to maximize your traffic. I will manage your Facebook page, twitter page, pinterest, etc. and will create a huge fan base. #7 – I also know how to market local services on Google’s search result page, on Google plus, directories, and maps. If you are seeing a decline of your sales to your local business, this is the way to go. And I will show you how to do it…nay; I will do it for you. I consider myself as a local SEO expert in India and globally as well. Because the work is all online. Tired of low traffic, low sales, no leads…Hire Your Freelancer SEO Expert As Me! I have been passionately working as an expert freelance SEO consultant since last 5 years. This is my life and my livelihood. It is a challenging pursuit but also rewarding at the same time. There is no bigger thrill than seeing my clients’ website about his or her services at the top half of Google Search result page. I know I have made a big difference to their lives and that fills me with humbleness and gratitude. I want to do the same for you. I want to get you out of the stuck phase of no sales and no customers. I know how frustrating it can get to seemingly do everything right but see no results. Internet a search engines are boon to our society at this time. However, it can get tricky and complicated. It can certainly be won, but it takes a lot of time to study and analyse the tactics. The Freelance SEO Specialist experts have already done this. I have already done this. So you don’t have to. You can focus on things that you love, on your life, on your business, and let me handle the SEO part of your business.